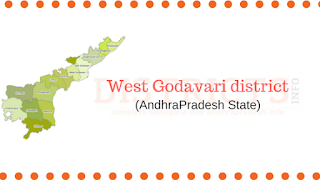 West Godavari District Profile,Mandals and Tourist places: West Godavari district is spread over an area of 7742 kilometers and this is 2.81 percent in the area of Andhra Pradesh state. it has Khammam district on the north, the Bay of Bengal on South, East Godavari district on Est and Krishna District on West. Papikondalu is spread on the north-east district. During the summer seasons, the temperatures are very high. December to February is very pleasant. Major rivers that flow in the district include River Godavari after which the district got its name. it flows from Polavaram to Narasapuram and divides as two at Vijjeshwaram. Forest area in the district is in 81,000 hectares. There are 15 constituencies and these are Eluru, Denduluru, Chintalapudi, Gopalapuram, Tadepalligudem, Nidadavolu, Kovvuru, Bheemavaram, Aachanta, Palakollu, Narasapuram, Polavaram, Unguturu, Undi and Tanuku. Main towns in the district are Eluru, Nidadavolu, Jangareddygudem, Tanuku, Tadepalligudem, Bheemavaram, Kovvuru, Palakollu and Narasapuram. Here is the West Godavari History. This place was a part of the Mourya kingdom and later in Satavahanas kingdom. Salankayans, Vishnukundins, Chalukyas, Kondaveeti Reddy Rajas also rules the place. After Kondaveeti Reddy Raja’s rule, West Godavari was merged into the Vijayanagar Kingdom. Golconda Nawabs, Delhi Mughal has also ruled the place. 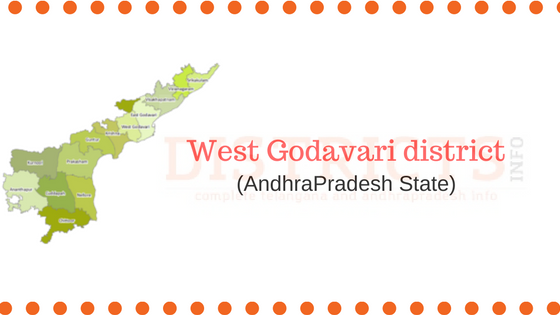 West Godavari was formed on 15th April 1925. since 1979, the district was divided into 14 talukas. Now there are 46 mandals in the district, 11 towns, 888-gram panchayats and 1262 villages. Visiting the West Godavari tourist places is an eye feast for those who love nature. Godavari districts are popular for their greenery and scenic beauty. Here are some popular tourist places in the district. 2) Dwaraka Tirumala temple is popular as ‘Chinna or Small Tirupati’ thousands of devotees visit this temple. All facilities are available here for the devotees. 5) Rajabahadur fort in Mogalture is stand in as a symbol of lost grandeur. This fort was built by Kalidindi kings two hundred years ago, according to historical evidence. West Godavari has a special place in Tollywood film history. Many people from this district had a successful career in Tollywood. Some of the popular film personalities are Chiranjeevi, Krishnamraju, Prabhas, Dasari Narayana Rao, Relangi Narasimha Rao, V V Vinayak, Suni, Raviteja, Ananta Sriram and so on.